Professor Dong Woog Lee in the School of Energy and Chemical Engineering at UNIST. Their findings have been published in the Proceedings of the National Academy of Sciences (PNAS). A research team, affiliated with UNIST has examined the rates of liquid penetration on rough or patterned surfaces, especially those with pores or cavities. Their findings provide important insights into the development of everyday products, including cosmetics, paints, as well as industrial applications, like enhanced oil recovery. This study has been jointly led by Professor Dong Woog Lee and his research team in the School of Energy and Chemical Engineering at UNIST and a research team in the University of California, Santa Barbara. Published online in the July 19th issue of the Proceedings of the National Academy of Sciences (PNAS), the study identifies five variables that control the cavity-filling (wetting transition) rates, required for liquids to penetrate into the cavities. In the study, Professor Lee fabricated silicon wafers with cylindrical cavities of different geometries. After immersing them in bulk water, they observed the details of, and the rates associated with, water penetration into the cavities from the bulk, using bright-field and confocal fluorescence microscopy. Cylindrical cavities are like skin pores with narrow entrance and specious interior. The cavity filling generally progresses when bulk water is spread above a hydrophilic, reentrant cavity. As described in “Wetting Transition from the Cassie–Baxter State to Wenzel State”, the liquid droplet that sits on top of the textured surface with trapped air underneath will be completely absorbed by the rough surface cavities. 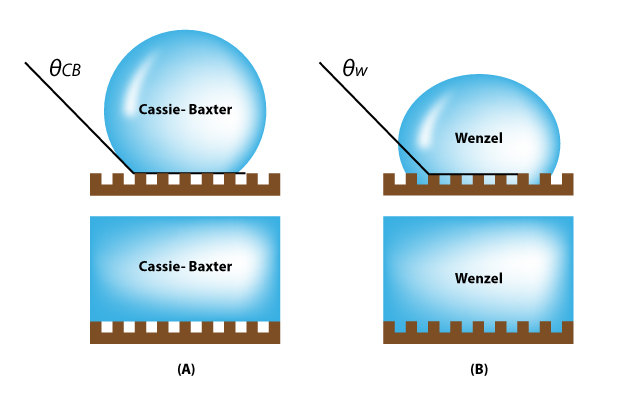 Figure above describes the wetting transition from the Cassie–Baxter state to the Wenzel state on textured surfaces. Figure above is the micropatterned surfaces fabricated for this study. This study has been supported by the National Research Foundation of Korea (NRF) grant, funded by the Ministry of Science and ICT. 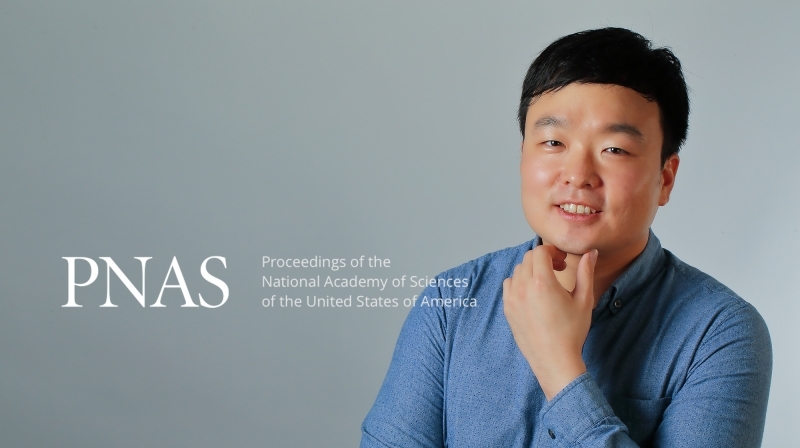 Dongjin Seo et al., “Rates of cavity filling by liquids,” PNAS (2018).